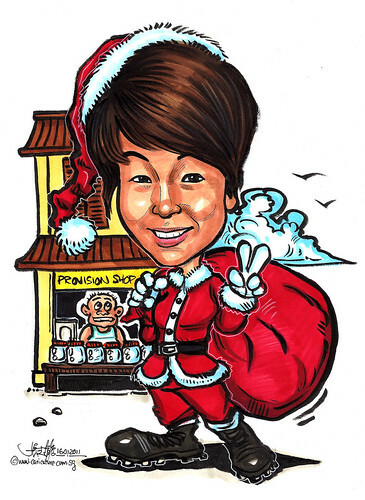 I would like you to make a Caricature (in marker with theme) for my friend for xmas. Pls see photo of my friend - Jo. The pic backgrd is a shop title 'Provision Shop' and my friend in Santa Claus outfit with a santa red hat......"